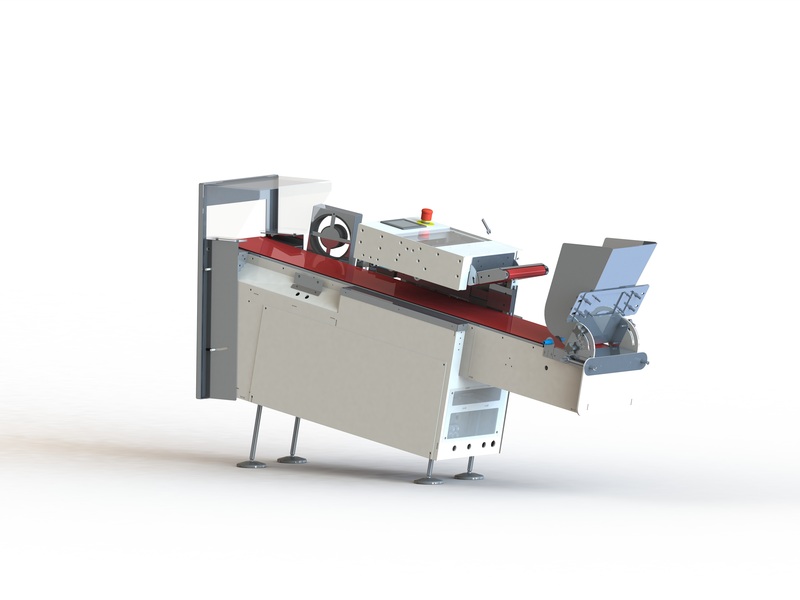 The Bag Inspector or Seal Tester is designed to ensure only high-quality packs enter the secondary packaging machine. Multiple measurements are performed while the product passes through the Bag Inspector, where the bags are judged on leaks, emptiness and too much/too little airfill. Furthermore, the Bag Inspector detects double bags and is fitted with an removal system to make sure the faulty product does not enter the ACM. Packs produced by the vertical form fill machine (Vff) enter the Bag Inspector and pass underneath the Bag Inspector head that checks if the packs meet the desired requirements. The Bag Inspector can handle an input from the Vff of up to 140 packs per minute. The Bag Inspector not only has the ability to check for packs with leaks, it can also detect double packs, empty packs and it can recondition and reject packs. The latest addition to the Jongerius Hanco machine line-up is the Bag Inspector 3.0. This machine has the same characteristics as the Bag Inspector, but is compatible with larger and heavier product. Ideal in combination with a case packer, ensuring quality and hygiene.